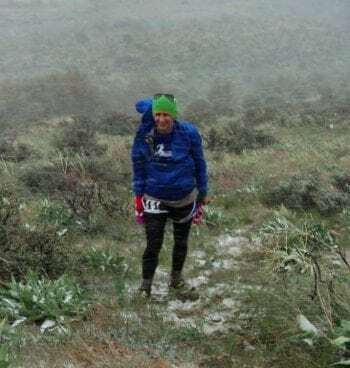 Pocatello 50 mile 2010 with horizontal snow. Where’s the trail at the 2010 Pocatello 50 mile. Photo courtesy of Emily Schuh Berriochoa.